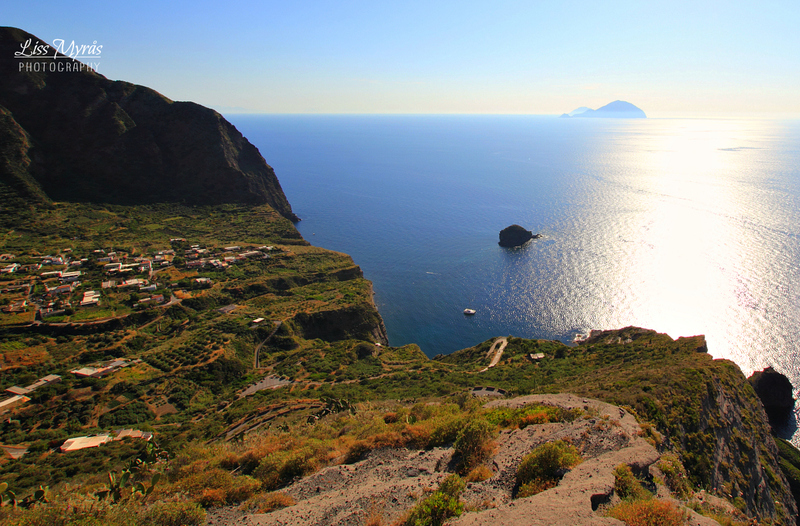 What Stromboli offered in terms of godsmacking and brutal live volcanic beauty, the tranquil, laid back and lush Aeolian archipelago island Salina matched elegantly with her silent volcanos looming towards the sky. 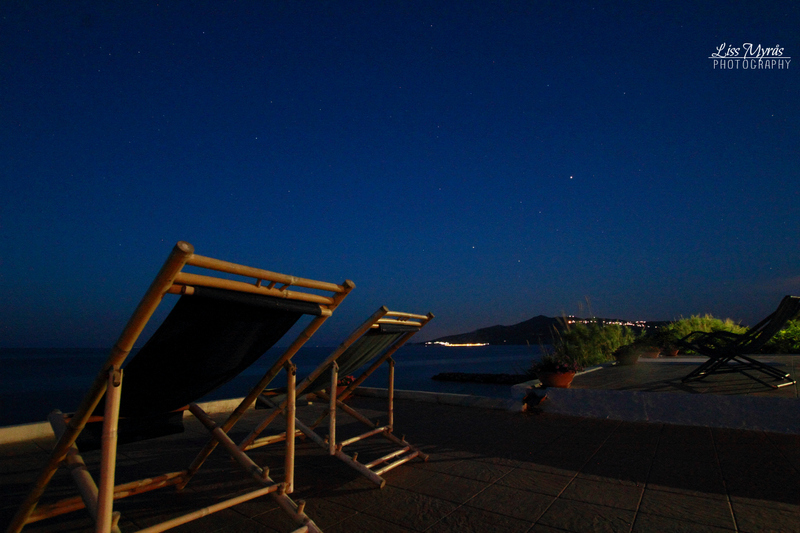 I spent a night at Isola Salina both the first and last day of my short trip – and the last evening became absolutely magic! The amphitheatre-shaped “crater-town” Pollara, where half of the crater dropped below sea level after an eruption a very loooong time ago – the island is actually formed by six collapsed craters. ( If you take a boat trip by sea-side here you will see some awesome rock formations). 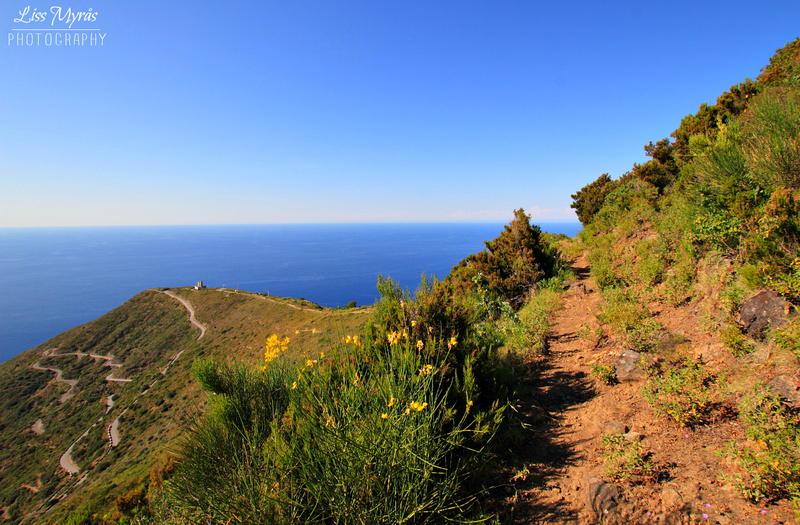 Hiking the trail on Monte dei Porri in the first afternoon with a view towards the abandoned lighthouse Semaforo di Pollara – afterwards I walked back to the village Malfa again for a tasty italian meal and the last bus back to my stay in Santa Marina. Your hotel will most likely give you an easy-to-read bus schedule and the driver will inform you the best he can in italian). After a bus change in Malfa, I jumped off at Santuario Santa Maria del Terzito (the driver will probably give you a hint) near the beautiful ValdiChiesa church in the valley that splits the Felci and Porri volcanos. (Take a look at the map link further below to localise the place and route). Then I followed the signs upwards from the church. 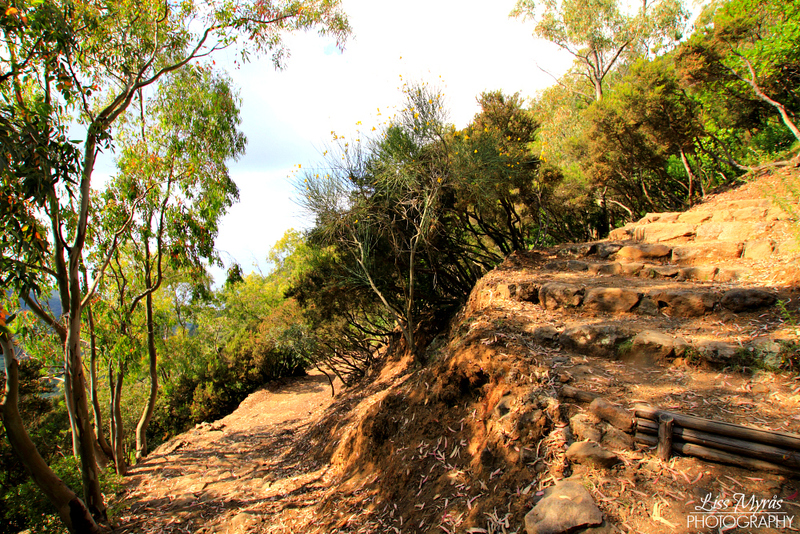 (It is possible to hike/climb up (and down) from several other places on the island if desired, but I think this one is the “main trail”). I was so lucky with the weather, after clouds and rain it switched into a hot afternoon sun, but thankfully there are trees and bushes here and there along the trail up to hide behind from the sun – preferably when taking a sip from the water bottle. 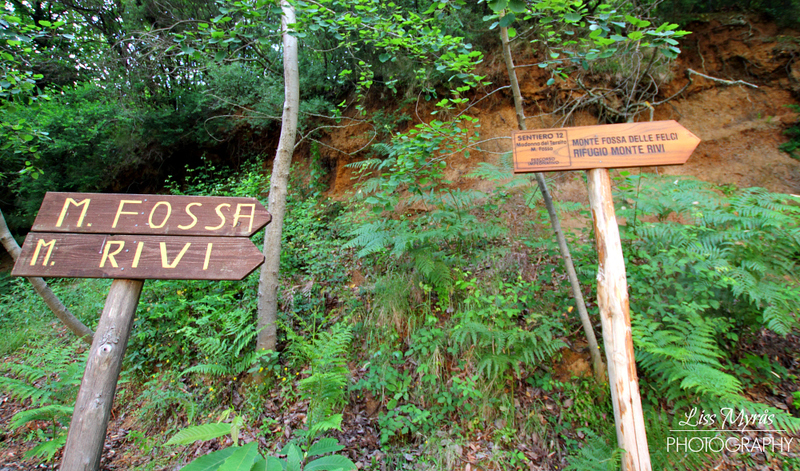 The trail is varied, but not so hard to hike, but it depends on your fitness. I think it took me about 90 minutes including photographing here and there. Closer to the summit you can follow a nice comfortable forest road for… a while – this is for sure not a small volcano crater. The only people I met up there at the summit was a nice french couple, and they told me they climbed to the summit of Monte dei Porri-peak the day before, but the view from here was far better than from Porri. After photoshooting they rushed down to catch the bus, but I decided to not rush this and take the last bus – and had the whole panoramic view completely to myself …wow… this is not a view you want to leave! 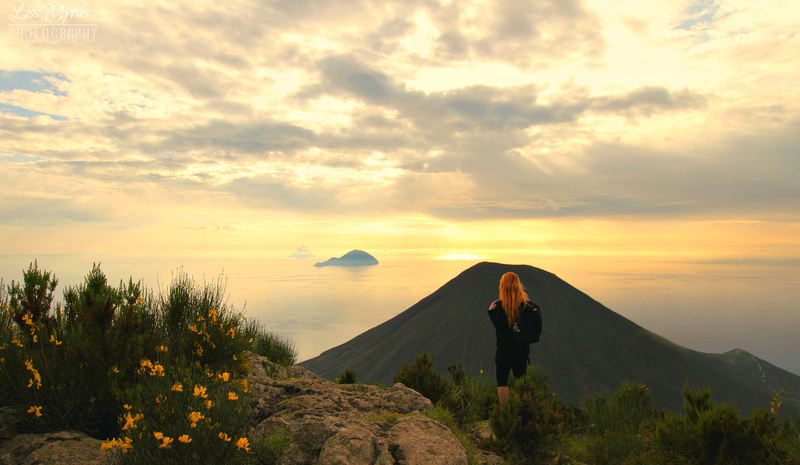 Totally alone up there for a whole magic hour with this incredible view from the Aeolian archipelagos highest point– the summit of Monte Fossa delle Felci (962m) towards the regular cone of Monte dei Porri (860 m) . 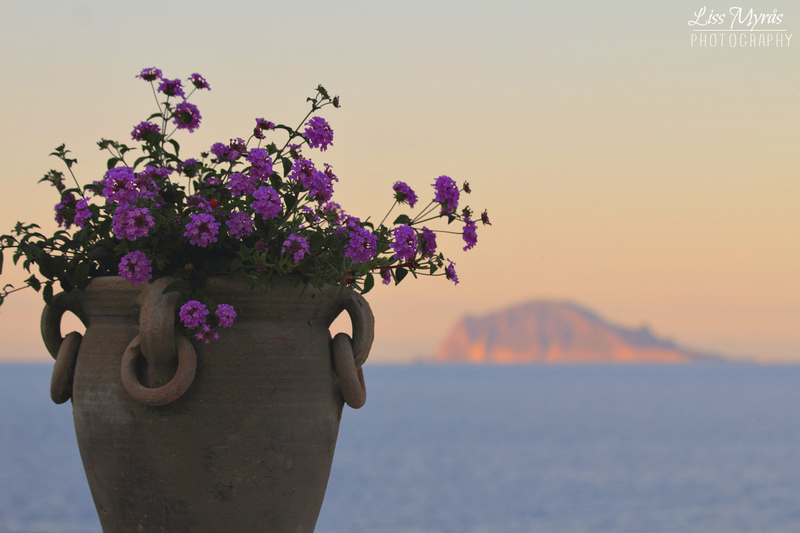 View from my stay on Salina towards Isola di Panarea the first afternoon – so thankful that I once again found a good stay for a reasonable price – with a sea view and a wonderful helpful host. Italians = great hospitality!